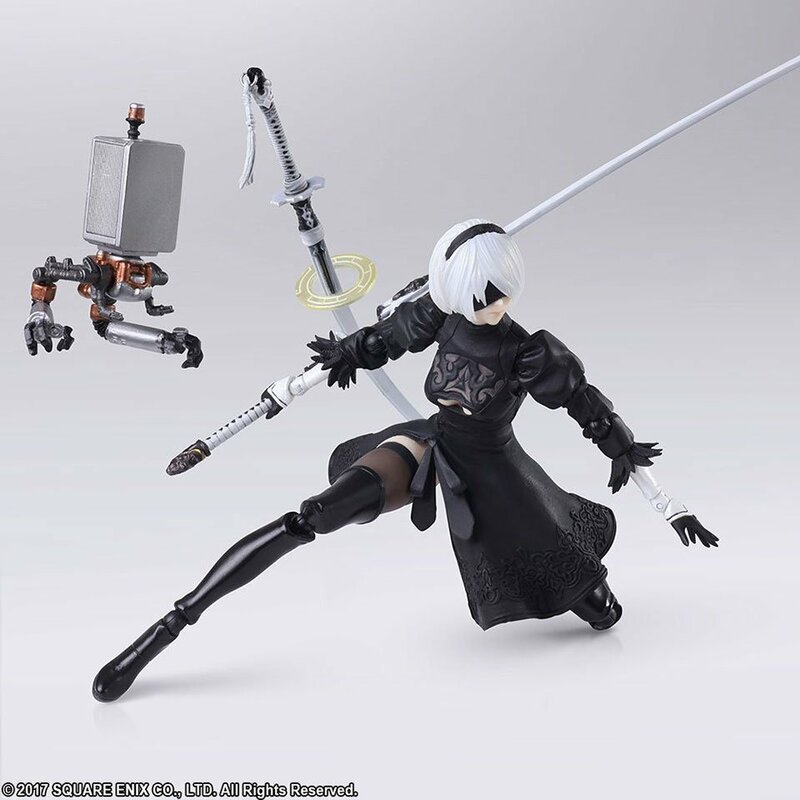 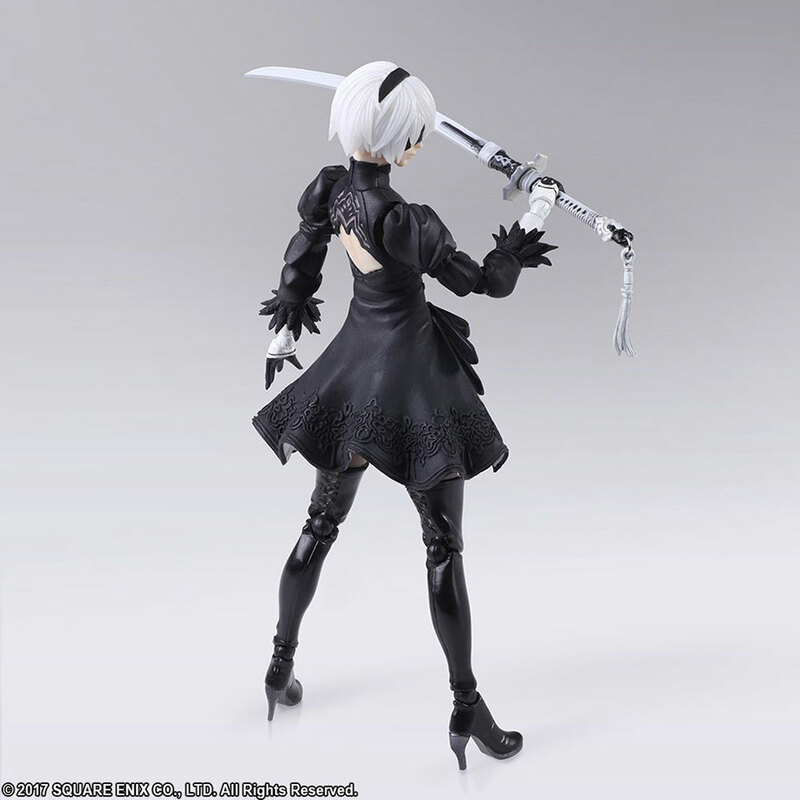 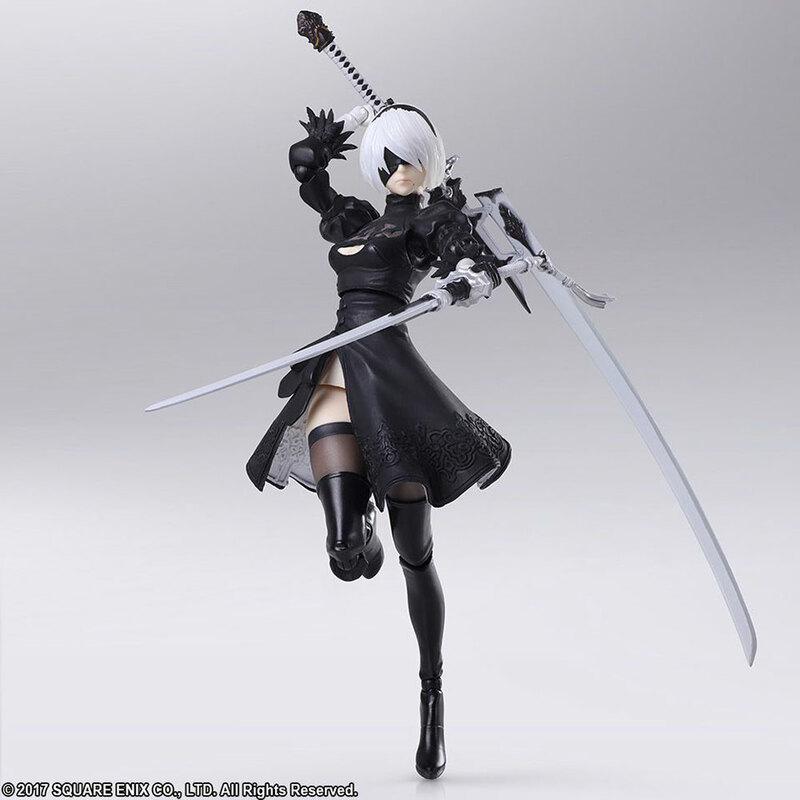 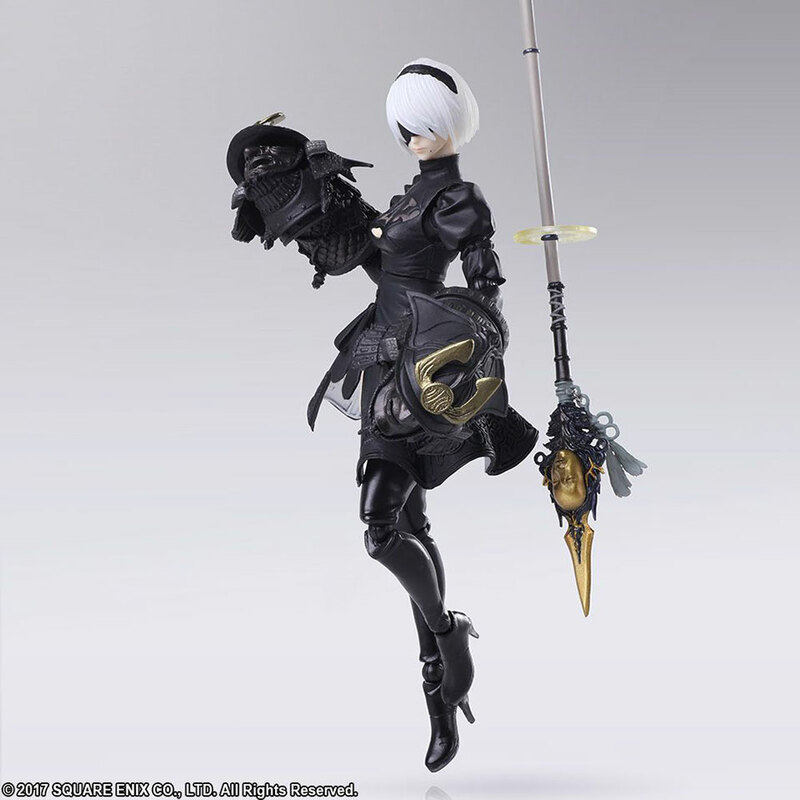 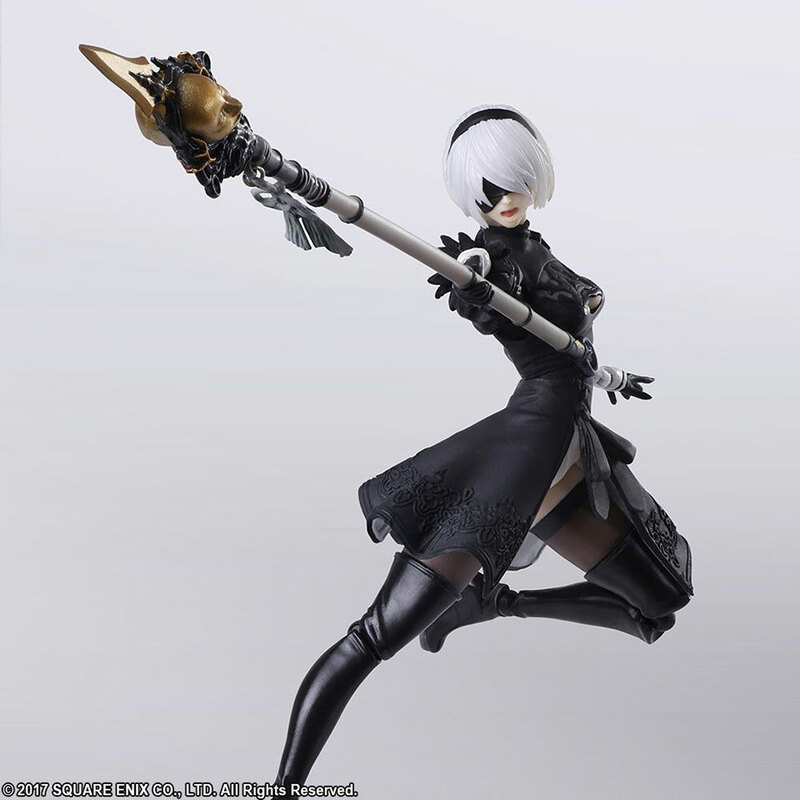 Square Enix presents one of the heroes of Nier: Automata in action figure form. 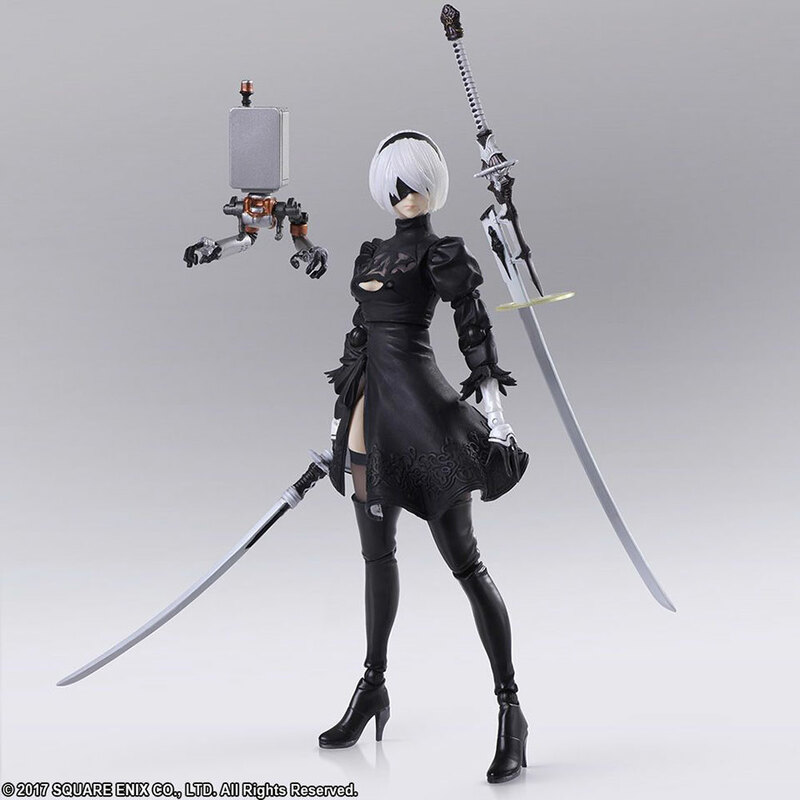 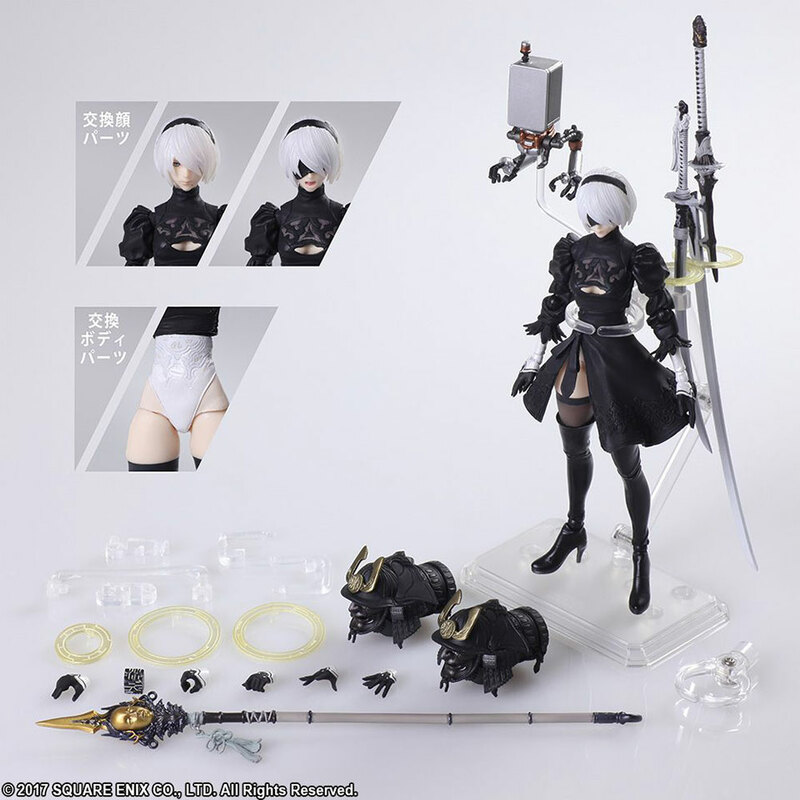 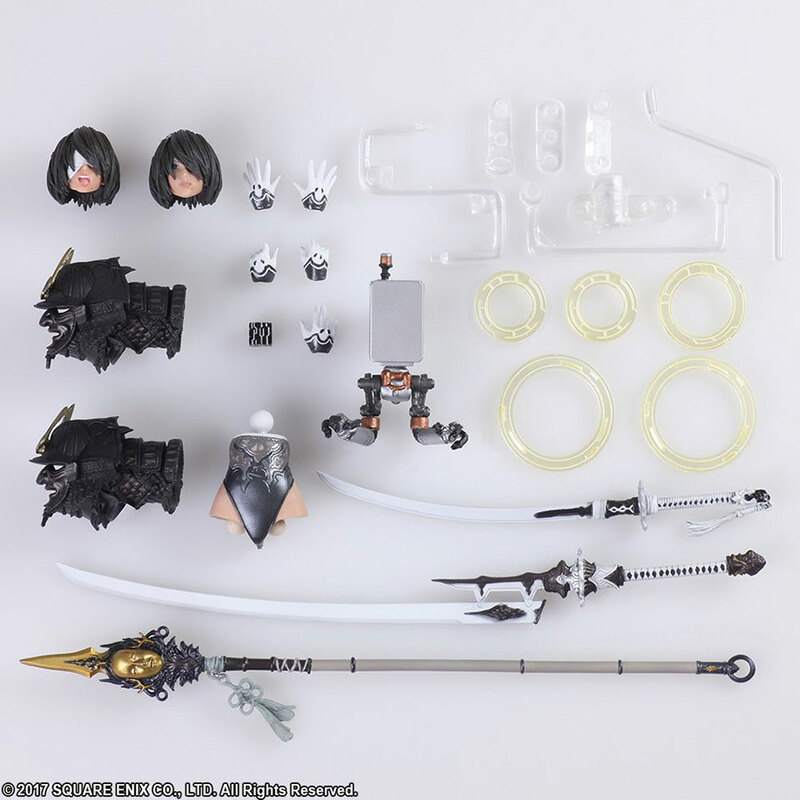 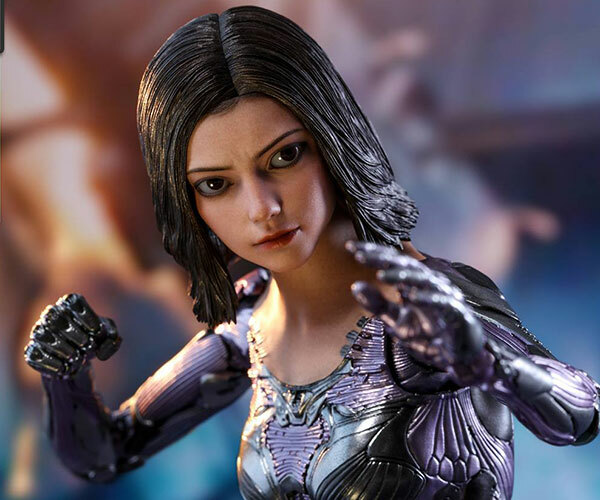 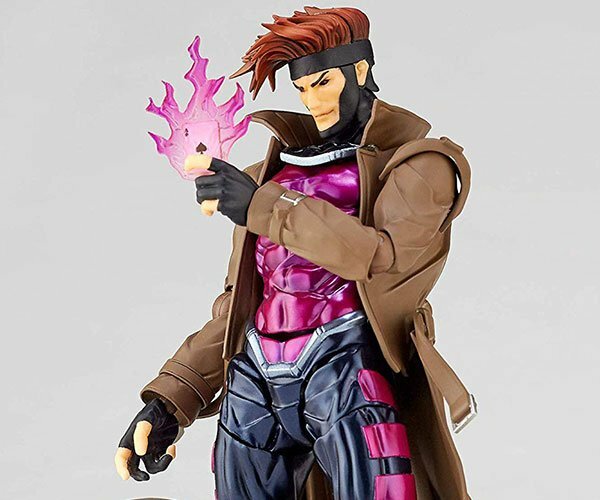 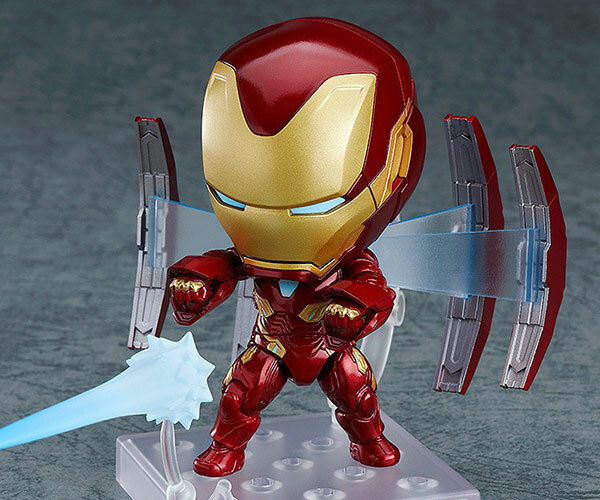 The Bring Arts 2B comes with seven hands, four weapons, three heads, a pod, a black box, and a post self-destruct torso. 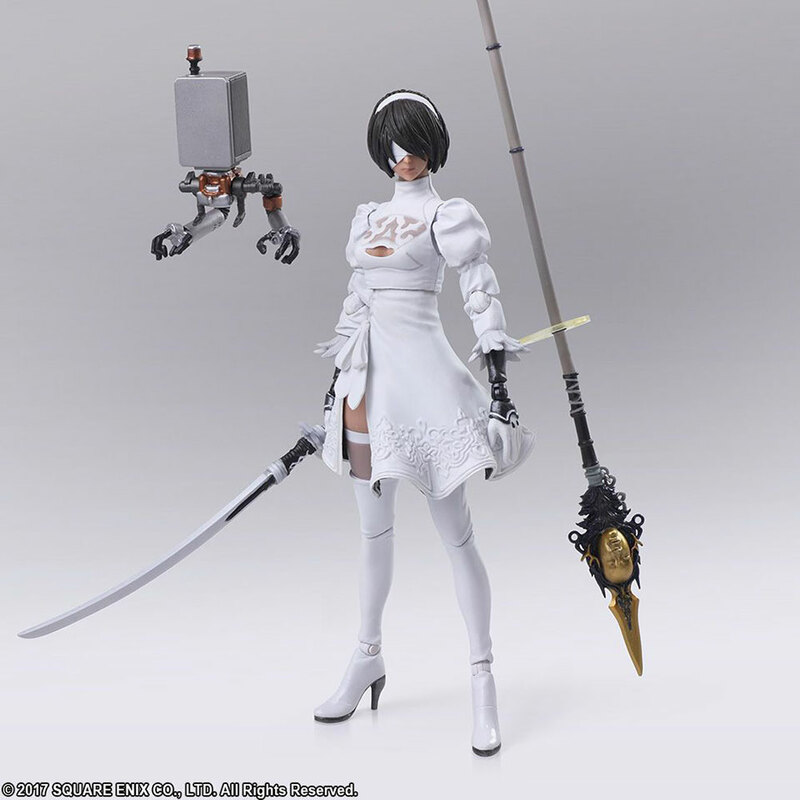 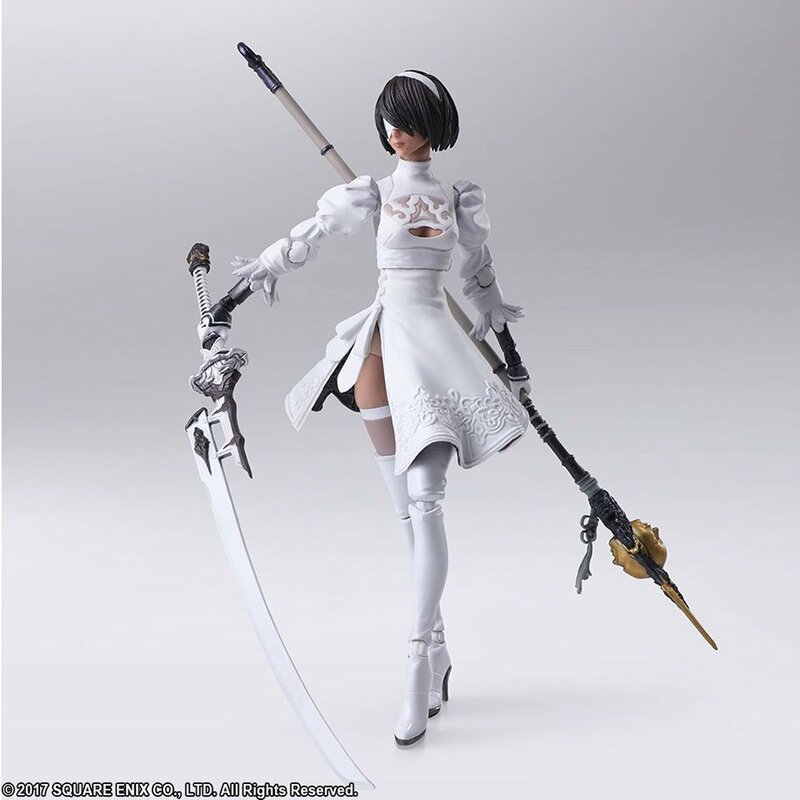 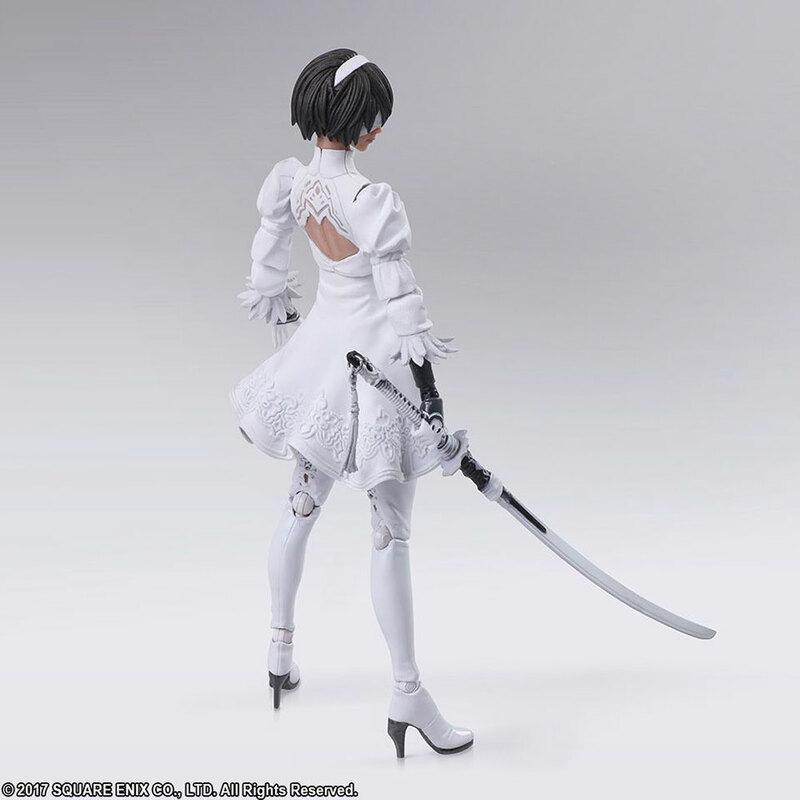 There’s also a white variant based on 2B’s appearance in Soul Calibur VI.